I just finished this remarkable book last night, weeping right up to the end. What a wonderful book about triumph despite extreme adversity. 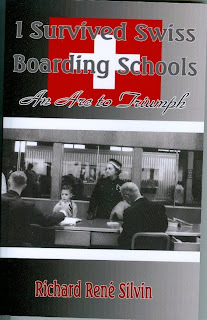 Richard Rene Silvin's excellent account of matriculation through the prestigious Swiss boarding school Le Rosey is remarkable not just because of issues Silvin faces (homophobia, sexual and physical abuse) but Silvin's ability to treat each of his (for the most part) perpetrators with compassion which they don't really deserve. This book was a work of catharsis, I suspect. And yet it is a book about redemption and even perhaps forgiveness. 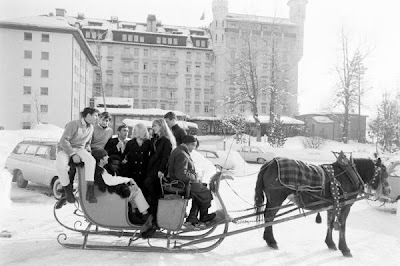 Silvin, the son of a wealthy father, is sent early (his aunt says too early) to La Clairiere, a Swiss boarding school in the early sixties, a holding place for the young lad until he attains the age that he can go to Le Rosey, in Gstaad. This first school is a nightmare, with the head master and his wife truly fiendish villains of Dickinsian proportions. Silvin is eventually removed from the school after suffering both physical and sexual abuse which leaves him scarred (after parents of boys from the school discover the extent of abuse that is going on). Silvin's heartless father immediately starts the boy in Le Rosey following his departure at La Clairiere. It is a few months later that the father learns that Silvin is about to be expelled from the school because of poor grades. It seems that in addition to be on the receiving end of abuse at his previous school he also had received a limited education. Pere Silvin strikes a deal with the militaristic head master of Le Rosey, Monsieur Johannot, that if after returning from summer break the boy is able to pass all of his tests he will be allowed to stay at the school. Pere Silvin then sends Richard to daily tutorials during the summer and in his typical fashion returns the boy to his fate at Le Rosey with these parting words: "'I need not tell you that you have no options here. You will pass these tests. Think of the embarrassment you have been to me. So just stop causing all this trouble!' 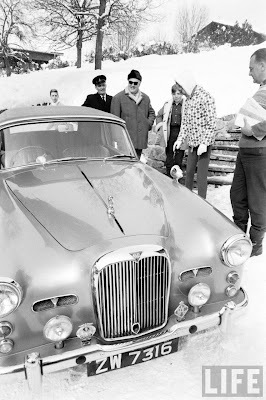 he exclaimed as we drove along the lake road from Geneva and approached Rolle." 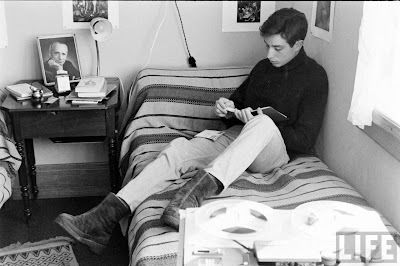 (the author is shown in this 1966 photo at left which is from Silvin's website). What is remarkable about the young boy Silvin despite the bleakest odds and saddled with sizable emotional baggage, goes on not only to pass the tests but to succeed wildly at Le Rosey. 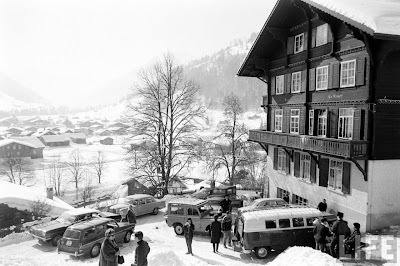 Le Rosey, located in the fashionable ski resort of Gstaad, is a Swiss boarding school for the children (boys only at the time that Silvin attended) of wealthy and/or famous parents from around the world. Its students and their parents, since 1880, have included royalty, billionaires, movie stars, captains of industry, politicians and diplomats. It is an interesting learning experience which is open to children from all cultures, which Silvin talks about in the book. Le Rosey's website today contains the following description: "A friendly international atmosphere where differences are respected, where daily life is shared between adults and youngsters in a family atmosphere, and where social life aims to build independence and self-reliance against the backdrop of a harmonious community." (Visit the Le Rosey's website: http://www.rosey.ch/en/htmlRosey/esprit.html.) Alas, this isn't the same philosophy that was wielded by Monsier Johannot during Silvin's stay at the school. Le Rosey is the exact opposite experience from Silvin's previous school, La Clairiere. The boys have maid service, their clothes and shoes are cleaned, they are treated by the staff with the utmost respect. But the school, despite its opulence, has its own failings. And our hero, Silvin, triumphs even when faced with very unsupportive father and initially an unsupportive head master, Johannot. Silvin, who suffers sexual abuse from an older student who eventually outs the boy as a "fairy," finds himself faced again with possible expulsion because of the homophobic Johannot. Tragicially, Silvin is again punished by his father for circumstances far beyond his control (the older boy was the sexual predator, just as Silvin's lack of education when he enters Le Rosey was the result of his father's decision to send him to La Clairiere). Most people could never overcome such psychological and spiritual challenges. Along the way you meet some of 20th century's most interesting figures: Marlene Dietrich, Elizabeth Taylor, Sophia Loren, Rockefellers, the Shah of Iran, among just a few as Silvin and his fellow classmates grow into young men, amidst the rarefied world of the rich and powerful. This is your classic "odyssey" as Silvin's lifelong friend and fellow classmate, Ahmed Yehia, writes on the book's back wrapper notes: "In world mythology, the archetype for greatness is the hero finding a way to extricate himself from the depths of abuse, despair, humiliation, etc. He challenges his monsters and comes out triumphant. This is as true of Ulysses as it is true of you [Silvin]." In the end, though, I was astonished at Silvin's lack of bitterness or even retaliation to several villainous individuals. His triumphs are truly remarkable but what is most remarkable about the book is its authors ability to find a way to a better future. Bravo! This book needs to be made into a film. Read this great, uplifting and beautiful memoir! For more information about the author, the book, or to order a copy visit: http://www.rrsilvin.com/. 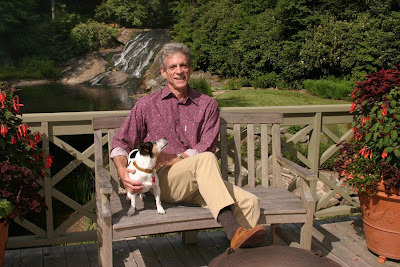 Silvin (shown below at his home in NC) is also the author of Walking the Rainbow: An Arc to Triumph, which is about the AIDS crisis in the 80's and 90's. Silvin lives in North Carolina and Palm Beach, Florida. He is currently writing another memoir titled Noblesse Oblige which is about his time as administrator at the American Hospital of Paris and his friendship with the Duchess of Windsor which will be published in 2010. 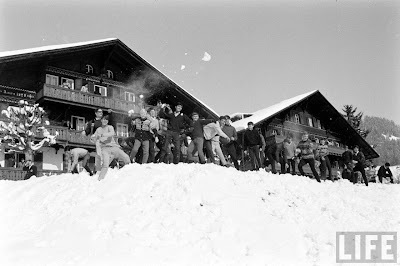 The photos above of Le Rosey are by Life Magazine © Time Inc., photography by Carlo Bavagnoli.